At the outset of each lawsuit, I tell all my clients that, in the broadest sense, every Virginia personal injury claim consists of three components: liability, damages and insurance coverage. These are the ingredients necessary for success in the personal injury process. As my initial meeting unfolds, I go into more detail about the individual considerations that are contained within each of these three broad categories. If the facts and circumstances are deficient in any one of the three, there may be a major obstacle in the path to obtaining full and fair financial recovery. This article follows The Personal Injury Recipe: Liability (Part 1 of 3) and The Personal Injury Recipe: Damages (Part 2 of 3) and is the final article in this series. If an injured person were to take their personal injury claim all the way to its legal conclusion, that individual would ultimately obtain a “judgment” against the negligent individual who caused them harm. Once entered by the court, the injured claimant would then receive a piece of paper formally indicating that the negligent defendant owes the amount of money awarded by the jury as full and fair compensation for the injuries sustained. For illustrative purposes let’s pick the number $1,000,000.00. While obtaining that piece of paper that says someone owes you one million dollars reflects a significant measure of success – it’s certainly clear that you’ve won your case – all you have at the end of the day is a piece of paper. There is still a long way to go before you can pay your outstanding medical expenses and move forward with rebuilding your life. Accordingly, in this, the final part of my three part series, I will discuss the importance of insurance coverage in valuing personal injury cases and collecting financial compensation owed in the aftermath of an injury. There are several types of insurance coverage that are relevant to all Virginia personal injury claims. The first of these is health insurance. Anytime that someone is injured through no fault of their own and subsequently receives medical treatment, the fist thing that they should do is provide their health insurance information to the medical provider from whom they are receiving care and instruct that provider to submit all billing to the health insurance carrier. I cannot count the number of times I have met with an injured person, who has health insurance, but has failed to provide that information to their accident-related treating medical providers. Typically, these individuals expect that the defendant’s automobile insurance company is going to pay their medical bills resulting from the accident. This article is not designed nor intended to explain the nuances of medical billing, however, in the simplest of terms, health insurance companies receive huge contractual write-offs from medical providers. If, for example, a primary care physician would bill an uninsured patient $1,000for an office visit, a health insurance company may only pay $150for that date of service, leaving the patient responsible for their $20co-pay. The remaining $830is “written off” pursuant to the physician’s contract with the health insurance company. Returning to the “damages” section of this three part series, it is important to remember that the automobile insurance carrier is responsible for paying the full amount of the bill to the injured person; not the health care provider. In the example above, the injured person who incurred $20in out-of-pocket expense would recoup the full $1,000originally billed by the provider themselves for a net positive of $980. Alternatively, if the provider is instructed to forward their bill to an automobile insurance company, the automobile insurance company would pay the physician the full $1,000, their obligation to cover medical expenses would be met, and the injured claimant would be left with nothing. Virginia law is designed to ensure that individuals injured through no fault of their own are able to maximize the benefits available to them through every policy of insurance coverage they have available to them. Pursuant to Virginia Code §8.01-27.5, any in-network health care provider that provides medical treatment to an injured individual must submit its bill to the health insurer in accordance with the terms and conditions of the applicable provider agreement. Failure to comply with this requirement means that the covered patient has no obligation to pay for health care services, the provider cannot place a lien against the proceeds of a personal injury claim and the provider cannot bill any policy of automobile insurance carrying medical expense benefits. In short, if you are injured through no fault of your own it is vitally important to make sure that all of your treating medical providers have your health insurance information and instructions to bill that health insurance carrier for all injury-related care. I also advise my clients to confine their accident-related treatment to in-network providers whenever possible. insurance carriers. For a small annual premium, medical expense benefits can be added to your policy. Many vehicle owners who purchased their auto insurance through an agent have this coverage and aren’t even aware of it. Medical expense benefits reimburse people injured in motor vehicle collisions, regardless of fault, for the actual costs for medical treatment incurred as a result of the medically necessary treatment they require in the aftermath of the accident. To determine whether or not you have medical expense benefits available, you simply need to consult the “Declarations Page” of your automobile insurance policy. Returning to our example above, your own automobile insurance carrier would be required to reimburse you for the $20 co-pay you tendered to the provider as well as the $150paid to that provider by your health insurance carrier. Ensuring that you use the medical expense benefits you pay for and further ensuring that the proceeds of your medical expense benefits are directed to you, not a medical provider, can increase your net financial recovery in a personal injury case tremendously. the time of the collision, it is clear that the negligent person’s insurance carrier is responsible to pay an injured claimant full and fair compensation for all of the previously-enumerated damages incurred as a result of the accident. Importantly, however, it is not mandatory that someone carry auto insurance in order to operate a motor vehicle on Virginia’s roads and highways. You can pay an annual fee to the Virginia Department of Motor Vehicles and forgo purchasing liability coverage for your vehicle. In addition to this, Virginia requires that every policy of insurance issued in the Commonwealth carry mandatory bodily injury coverage of at least $25,000 per person and $50,000 per incident. For individuals looking to lower their monthly overhead, and obtain auto insurance for the lowest amount of money possible, a $25,000 minimum limits policy is going to have the lowest annual premium available on the market. The per person bodily injury limits reflect the maximum amount of money that the insurance company for the negligent driver is responsible to pay in the event of a collision. If you were to obtain a judgement in the amount of $1,000,000 against a negligent driver, that person’s insurance company would mail you a check for $25,000 and have no further obligation to pay the remaining amount of the judgment. Virginia law allows an injured person to determine how much liability insurance is available once they have amassed $12,500 in accident-related medical treatment. When I first meet with a client who has been seriously injured through no fault of their own, my first order of business is notifying the negligent party’s insurance company of my representation, collecting the medical bills incurred to date and determining right away how much insurance coverage is available for payment under the defendant’s policy. Many times, irrespective of the nature of the injury sustained by the plaintiff, that limit reflects the practical cap on the value of the claim as it is all the money that is likely available for payment in the aftermath of the collision. If the negligent party is uninsured, or if they do not carry enough insurance to cover the full and fair value of the damages resulting from their negligence, Virginia law provides that every policy of liability insurance covering a motor vehicle afford uninsured motorist protection to the policy holder, their passengers and their resident relatives. Absent a written waiver, this uninsured motorist protection shall equal but not exceed the limits of liability coverage. This means that if you carry $100,000 of liability coverage per person to protect yourself in the event you cause an accident, you have also purchased $100,000 in protection if you are injured by an uninsured or underinsured driver is at-fault. If the negligent party carries Virginia’s minimum $25,000 in bodily injury coverage, their company would pay the $25,000 policy limit and your company would step in and pay the remainder of the judgment up to your own policy limit. In this example that would be an additional $75,000. Assuming you succeed in recovery, the fact that your insurance company is paying for a portion of your damages does not affect your annual insurance premium. According to the Virginia State Corporation Bureau of Insurance, an insurance company may not raise your annual premiums in the event that payments are made for an accident in which you were not at fault. As you can see, there are four main points of consideration regarding available insurance coverage that come into play in the immediate aftermath of a motor vehicle collision. It is vitally important that the available coverages be identified, the respective carriers and involved providers be notified, and the limits of insurance available for payment be identified as quickly as possible to ensure that a person injured through no fault of their own receives the benefit of all available sources of protection and is therefore able to maximize their net recovery at the conclusion of the claim. In conclusion, personal injury claims in Virginia can be complex and, at times, convoluted. If you or someone you know is injured through no fault of their own, navigating the nuances of liability, damages and coverage without representation can result in disaster. The experienced attorneys at Allen and Allen deal with these types of claims every day. 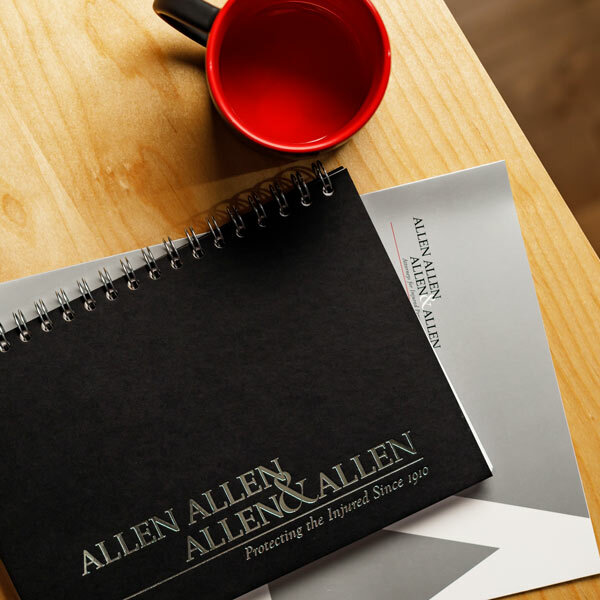 Contact Allen & Allen for a free consultation at allenandallen.com or 1-866-388-1307. About the Author: Chris Toepp is a Fredericksburg, VA personal injury lawyer dedicated to helping people who have been injured by the negligence of others. He is experienced in handling personal injury cases involving catastrophic injury, wrongful death, traumatic brain injury, as well as premises liability cases and claims involving punitive damages. Chris works in the Fredericksburg, Virginia office of Allen & Allen and serves clients across Northern and Central Virginia. It is important to note that if your declarations page reflects medical expense coverage in the amount of “$5,000” you then multiply that amount by the number of vehicles you have insured under that policy (up to a maximum of 4) to determine the total amount of medical expense benefits you have available for payment. If there are 4 vehicles insured on your policy, you would have $20,000 in available medical expense coverage. At the outset of each lawsuit, I tell all my clients that, in the broadest sense, every Virginia personal injury claim consists of three components: liability, damages and insurance coverage….